March 22nd marks World Water Day 2014, a day which advocates for the sustainable management of the world’s water resources. Dating back to 1992 when the United Nations Conference on Environment and Development (UNCED) in Brazil recommended an international day be devoted to the celebration of fresh water, this year focuses on the water-energy nexus. 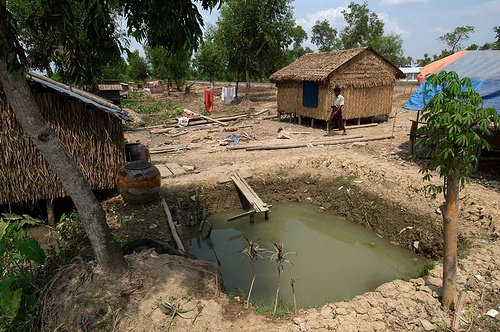 With 780 million people across the world without access to safe drinking water, water remains a critical global issue. As a global resource, water requires international action and Wilton Park offers a platform from which to convene cross-sectoral international meetings. In the past year, we have held various conferences dealing with the importance, challenges and future of water resources. Our annual Futures conference, which identifies key global challenges, focused in 2013 on Resources: trends and future challenges for states and regions – towards 2030. With 70% of fresh water usage deployed in agriculture, water scarcity translates into countries’ diminished capacity to feed themselves. As climate change threatens to further derail water availability, this conference sought to address the obstacles that ‘water-stressed’ regions of the world must tackle. Technology and innovation, international cooperation and public-private partnerships all signify turning points around which decisions will dictate the future of water management. Our conference on, Global agriculture, food and land use: how to create resilient agricultural systems in a world of increasing resource scarcity and climate change put the crucial food-water-energy nexus in the spotlight. The fifth in our 2011-13 series on ‘Global food, agriculture and land use’, this conference discussed the pressures of climate change on resource availability amidst an anticipated global population of some 9 billion in 2050. Given the uneven distribution of water on Earth, changes need to be made to facilitate farming in arid regions and make water use more efficient. The final event in the series, Empowering people and shaping policies for resilient agriculture and food systems, addressed barriers and enablers to change in delivering a more sustainable global food system – which includes water at its heart. This event looked to identify the appropriate national and international policy recipe to increase agricultural production across the world. Having brought together over 100 speakers, 170 participants and 39 nationalities, the six part series, Global food, agriculture and land use, has drawn attention to key learning and recommendations for the future of global food systems. The food series resources are available to download. 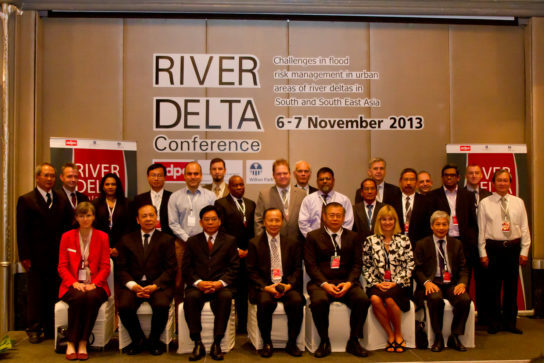 Moving from water scarcity to extreme flooding, in November we facilitated a discussion in Bangkok in partnership with the Asian Disaster Preparedness Center (ADPC). Whilst large-scale urban centres in delta regions of South and Southeast Asia have grown as economic hubs, they are also among the most vulnerable areas at risk of hydro-meteorological disasters. This conference found that individually tailored solutions and long term planning through education and investment were essential to the mitigation of flood risk. In 2014, we have continued our portfolio of work on disaster risk reduction by facilitating a discussion in Nairobi for the Intergovernmental Authority on Development (IGAD). The meeting discussed regional approaches and the potential role of technology to mitigate natural hazards such as drought, but also flash floods in the Horn of Africa. We also heard from some of the key experts involved in the recent discovery of water in Turkana. As a challenge affecting the transmission of disease, global food supply and the destruction of communities, Wilton Park is keen to progress issues surrounding water and look forward to more discussion on this critical theme in 2014.